Munster Reds coach Ted Williamson and his selection panel have announced their squad of 15 in advance of the first match in the Hanley Energy T20 Interprovincial competition against the Northern Knights on Friday, 26th May, at the Mardyke. This year marks a milestone for Munster Reds, back in Interprovincial competition for the first time in over a decade. This year’s Interprovincials have an added boost with the confirmation of first-class status - one of only a dozen in the world to carry this honour - for the three-day game, which the Reds will be working towards as they enter the T20 version. The squad is based upon eight home-grown players who compete for four of the six teams in the Munster Premier Division, and will be looking to showcase the kind of talent that’s seen Cork County compete at the highest level in Leinster, and County Kerry and Limerick reach the quarter-finals of the National Cup in 2016. The side will be captained by Cork County Professional – Stephan Grobler – who is starting his fourth season with the club and who brings a wealth of experience one of a few players to play first-class cricket already in his native South Africa, while also playing top-class club cricket in New Zealand and most recently Australia. Munster Head Coach, Ted Williamson, says he is excited by the challenge of making the Reds a really competitive side in the T20 competition. Munster Chairperson, David Griffin, notes that inclusion in the T20 competition is a major advance for Munster Cricket and a huge opportunity to increase the profile of cricket right across Munster. 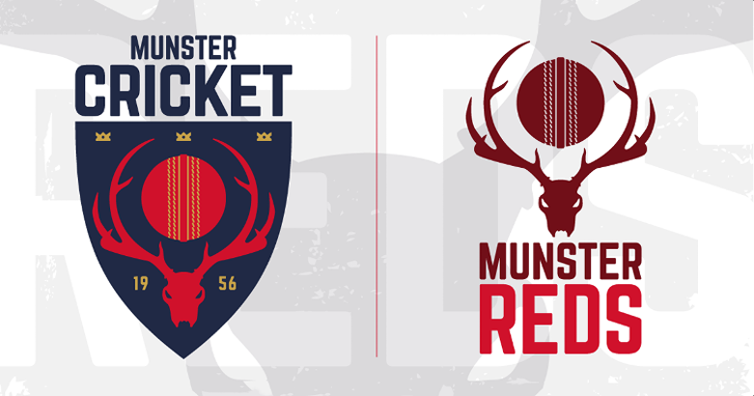 Further information on the match day arrangements will be released closer to the time of the first game on munstercricket.ie and through the Munster Cricket Twitter and Facebook channels.